As in other occupations, creative arts professionals or hobbyists benefit from developing systems in order to formalize the creative process, generate ideas, and simplify production. However, it’s a mistake to think that steps in a process are one- size- fits- all; that a creative process is a static rather than the dynamic list of action steps. In general, there are phases of design that will be taken; research, brainstorm, sketch, edit, refine yes are the basics I learned in school. I would say that these work fantastically overall. 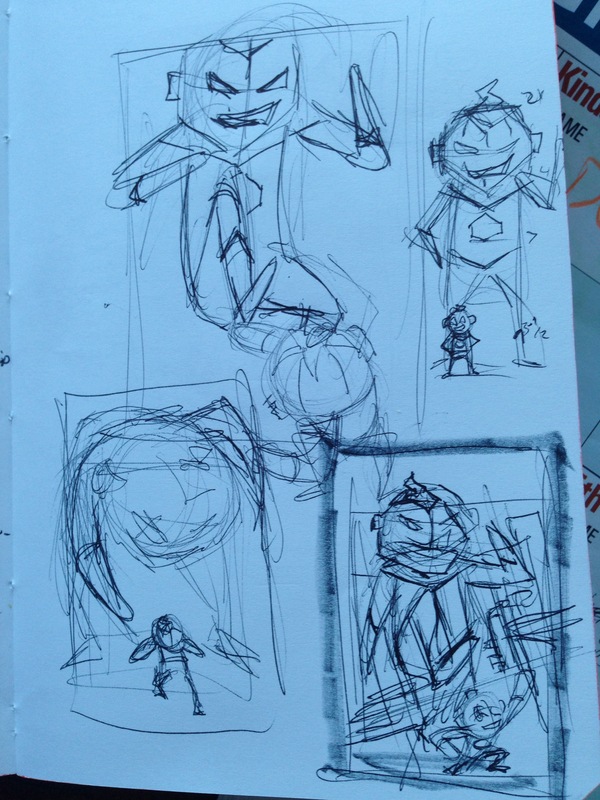 But we can get stuck when we overly formalize what research means, or what thumbnails are, for example. I remember the revelation that was part irritation when I considered that at certain times, I would need to change my preferences in Adobe Illustrator, sometimes from stroke for stroke. The temptation to overly mechanize our process can make creative types become lazy. Perhaps one step two add at the very beginning of the process of is to evaluate whether the process you intend to use is a good fit for the project you are beginning. 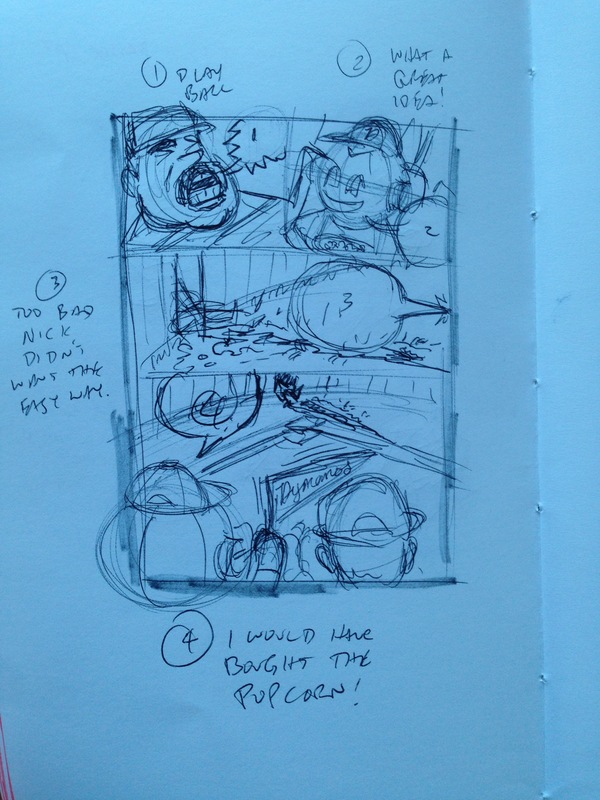 In the thumbnails below, I chose to thumbnail one page of the comic in the middle of a half sheet of paper. 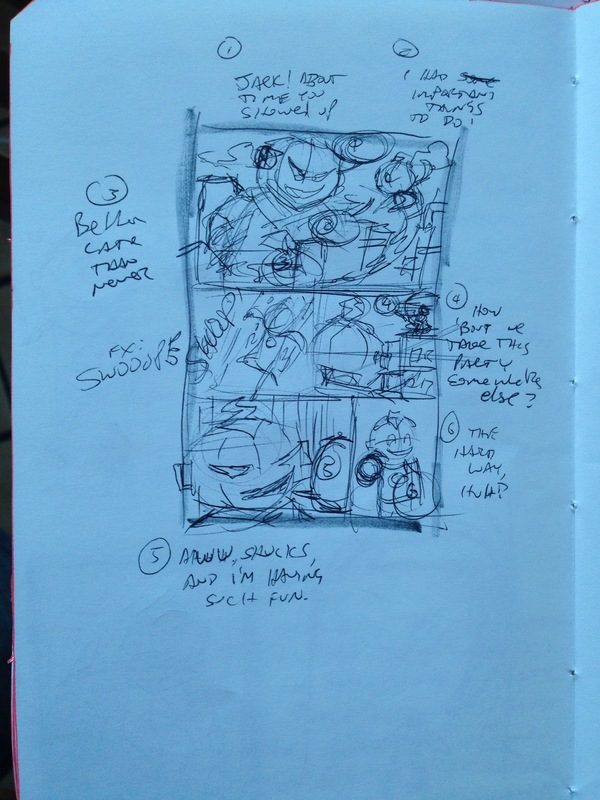 This left room around the sketch to write notes and make comments. 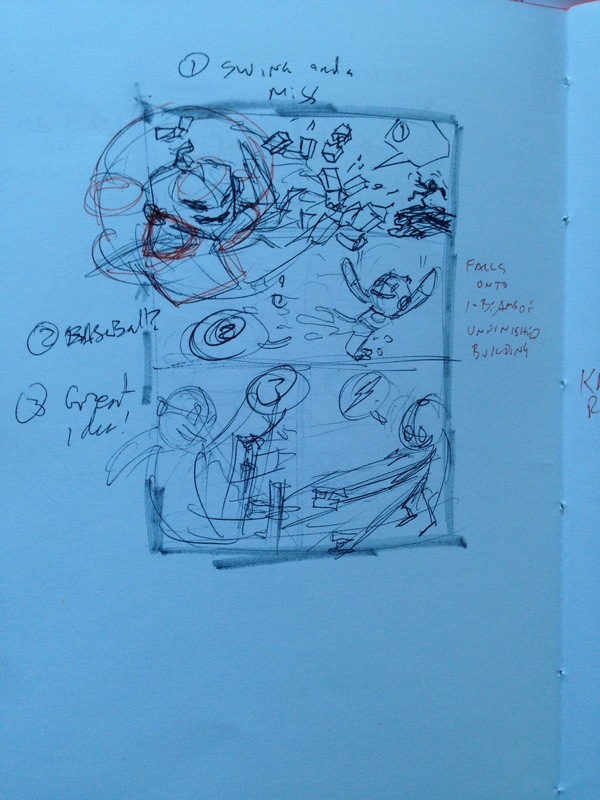 Having one set of panels on the page surrounded by a lot of white space helps me focus on that page and think very freely. 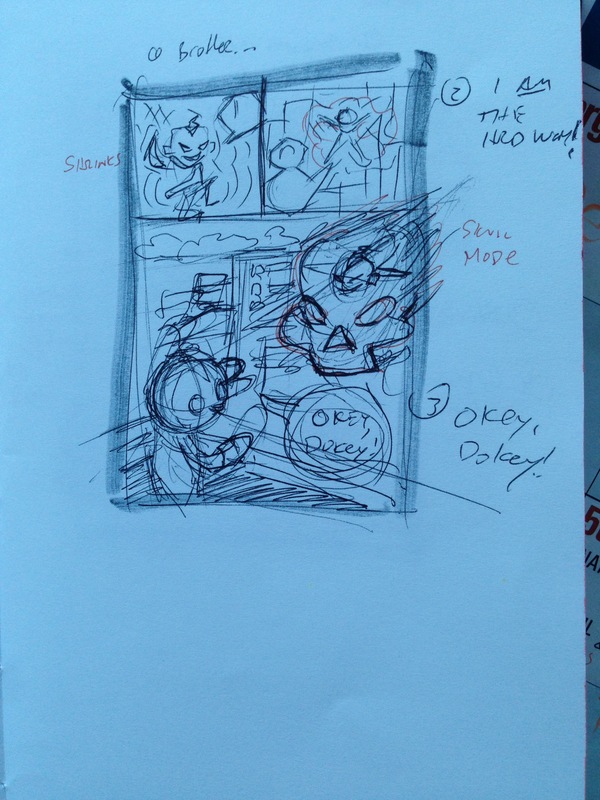 I know sometimes having multiple smaller thumbnails on a single page is helpful to see the flow of pages and panels, but doing them this way shifted my thinking. I don’t know if it’s better or not, but I felt very free in thinking about the story; designing the shots, dialogue, and storytelling simultaneously. 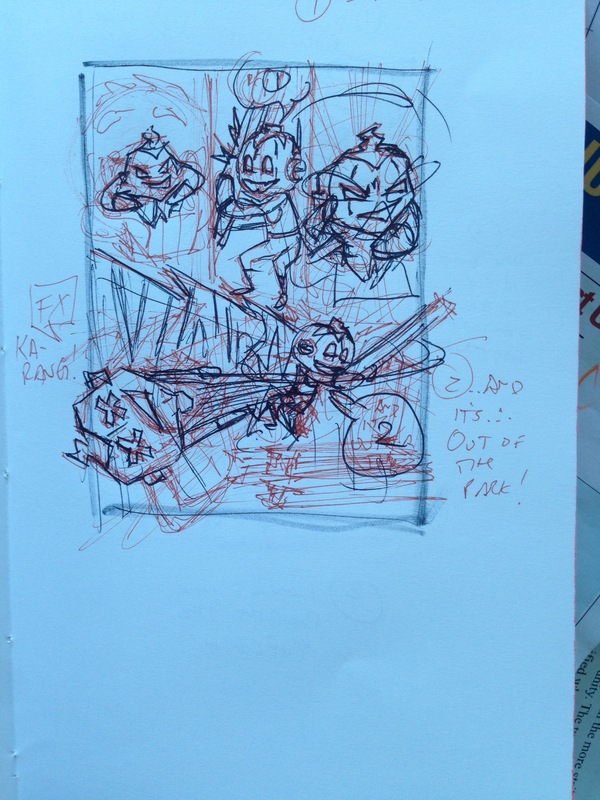 This entry was posted on June 14, 2017 at 8:48 pm and is filed under "Natural" Media, Action Sketches, Character Designs, Jack O, Process, Sequential, Tutorial/Idea. You can follow any responses to this entry through the RSS 2.0 feed. You can leave a response, or trackback from your own site.